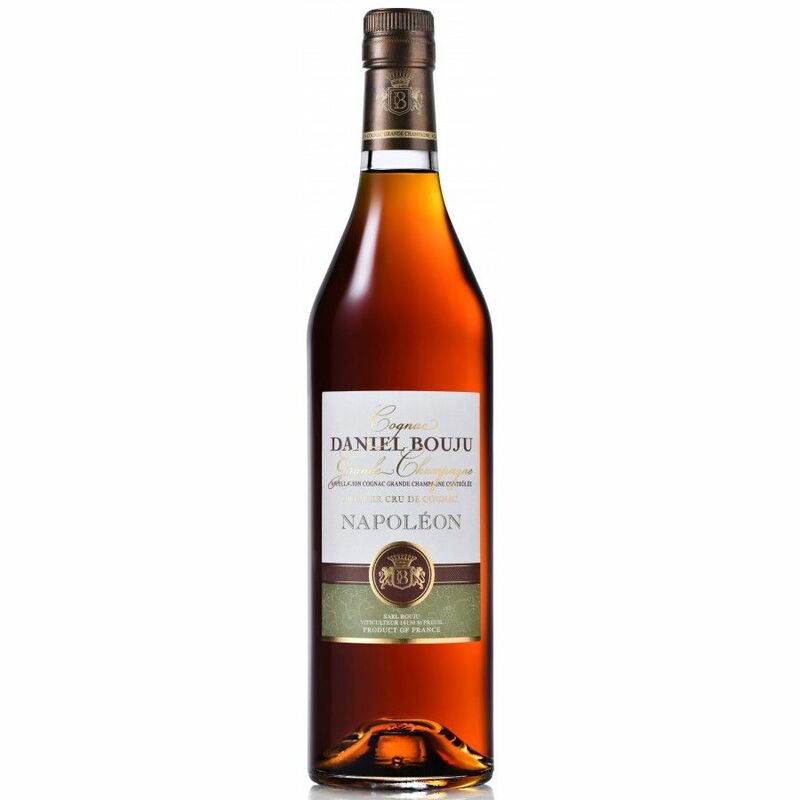 Daniel Bouju Napoleon Cognac is created solely from eaux-de-vie from the premier cru of the region - Grande Champagne. Amber in color, the taste is round and full, thanks to the evolution of the tannins during the aging process. Fruits and spice aromas delight the nose, and further extend on the palate. The finish is satisfyingly long - just as one would expect from a cognac of this quality. Enjoy as a digestif or aperitif - and be sure to take the time to savor the complexity of both aroma and tase.